Just found your sound piece – marvelous! 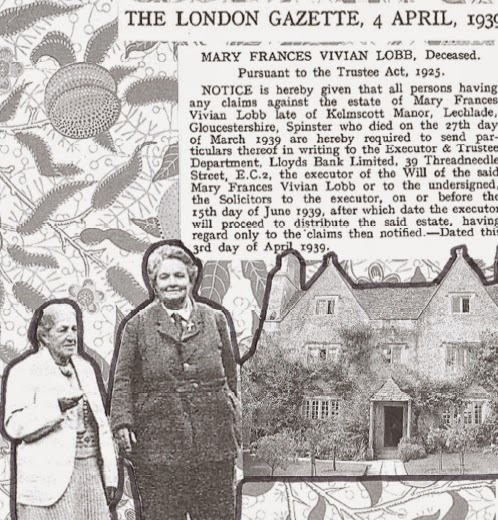 I'm still researching the materials Miss Lobb left to The National Library of Wales and have looked into her history. I'll be giving a talk in Kelmscott in September, though it seems there won't be a lot you don't know already. It's good to see MF getting a bit more attention.